Avila Beach Apartments and Vacation Rentals is located in one of the most beautiful areas on the central coast of California. Located on one of the two southward facing beaches in California, and surrounded by beautiful coastal mountains, Avila Beach offers a remarkable microclimate and breathtaking views! 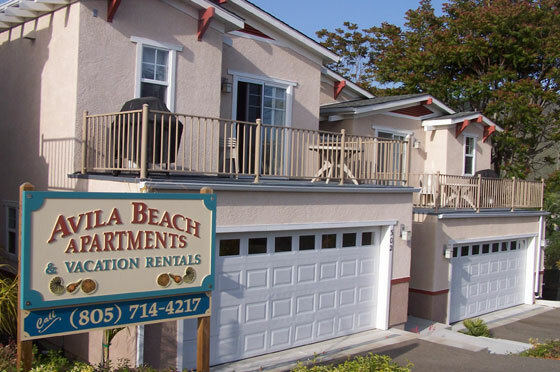 Avila Beach Apartments and Vacation Rentals is a unique complex, that has been family owned and operated since its establishment in November 2005. It contains a total of fourteen units: twelve townhouse style, 2 bedroom & 1.5 baths apartments that are approximately 1200 square feet with a two car garage and two studio apartments that are approximately 540 square feet with a single car garage. There are two ocean facing apartments with balconies, available as vacation rentals on a weekly or monthly basis. 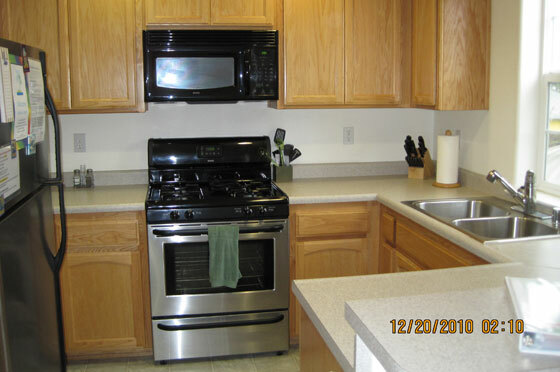 These units are fully furnished, offer beautiful harbor views, and are a short walk to the beach and downtown Avila. 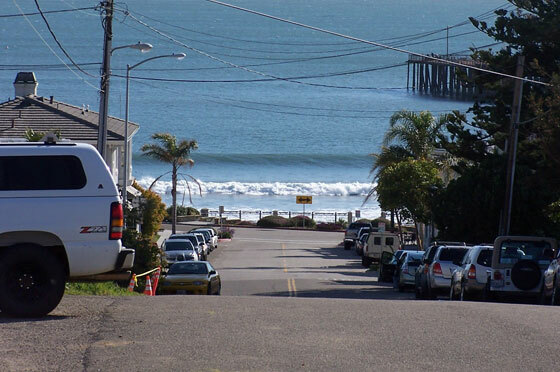 Our townhouse style rentals sit on top of the hill as you come into the little village of Avila Beach. They are spacious and have 2 bedrooms and 1 1/2 baths. The rentals have a deck in front with a gorgeous ocean view where you can sit and listen to the sound of the waves crash on the beach. The 2 story units have a 2 car garage with automatic opener. Inside, they are fully furnished and can be rented for a few days or a few weeks. We also have an on-site coin operated laundry facility for your convenience. It is an easy 2 block walk down to the ocean. The beach is perfect for swimming, surfing, laying in the sun or people watching. Lifeguards are on duty during weekends, summer months and holidays. There is a playground on the sand as well as directly off the beach. These are within easy walking distance. We have 2 rentals available and each has a different beach related theme. Each rental is the same size (1200 sq. feet) and has a queen size bed in both bedrooms. The bedrooms are all downstairs. 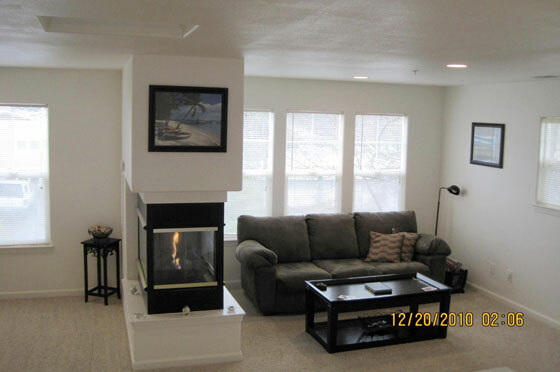 In the living room upstairs, there is a sofa sleeper in addition to a fireplace. Bedding for all beds, including the sofa sleeper, is provided. Each unit has a full bathroom downstairs and a half bathroom (sink and toilet) upstairs. The television in the living room has a DVD player so bring your favorite movies to watch. There is also a television set located downstairs in one of the bedrooms. Free wireless Internet is provided. The kitchen is fully stocked with dishware, glasses, pots and pans, coffee maker, toaster oven, blender and everything else we could think of to put in the kitchen. A gas grill and a patio table and chairs are located on the deck. The entire downtown area of Avila Beach has recently been rebuilt. It includes the new children’s park, a small grocery store and deli as well as new restaurants and stores. It is no longer a rundown little town. It is beautiful, upscale and you will love it. The weather is warm year round and it is consistently much warmer and less foggy than Pismo Beach. Avila is only 25 minutes from Paso Robles- home to over 300 wineries. If you enjoy wine tasting, you can also head south to Santa Ynez and arrive in 40 minutes. Your stay can be as exciting or as relaxing as you choose. 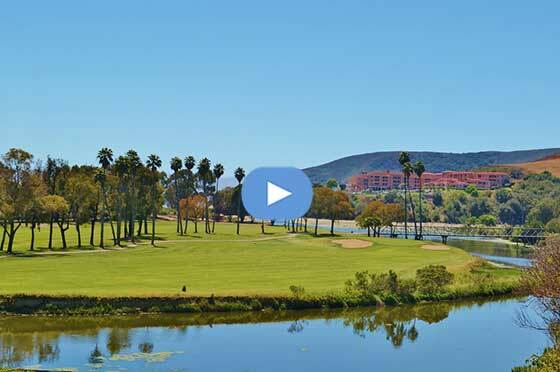 Golf, the beach, or wine tasting is only minutes away. Rent segwaves, ATV’s, sand rails or take a Hummer tour within a 10-minute drive. The California Central Coast has so much to offer and it is waiting for you. Summer rent ranges from $255/night to $280/night for shorter stays. Week special is $1650. Additional costs include cleaning fee of $125 to $150, refundable Security Deposit of $250 and County Bed Tax of 11%. Winter rates are significantly lower. Summer discounts to return renters. 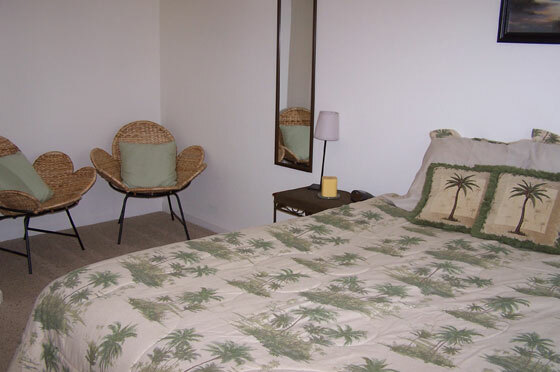 Winter rent ranges from $205/night (mid-week) to $225/night (weekend only). Week special is $1350 and special monthly rates are also available. There is an additional cleaning fee and taxes.